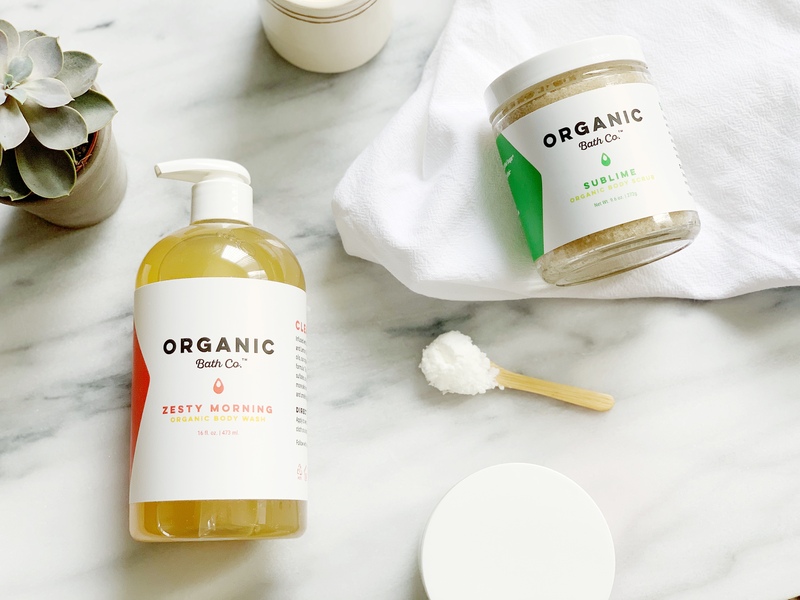 Organic Bath Co. was born out of a personal need for simple skincare that worked. When Co-Founder Gianne Doherty broke out in hives from using conventional beauty products, she had no idea that the personal care industry was so unregulated in the United States. There hasn’t been federal legislation regarding beauty and personal care products since 1938, and the United States only bans or partially bans 30 ingredients while the European Union has restrictions on more than 1,400. That means that the products you find on many beauty shelves haven’t been tested for short or long-term safety. What it means on a practical level is that we have to be our own advocates by reading labels, asking questions and staying informed. According to a 2004 study by the Campaign for Safe Cosmetics, the average adult uses nine personal care products on a daily basis. Those cosmetics contain an average of 126 chemical ingredients, many of which have been linked to health concerns, skin allergies and more. But that’s not meant to scare you. It’s just a piece of the larger consumer-education puzzle. The more you know, the better choices you can make for yourself and your family. So, how do you know what’s best, and what to avoid? That’s where our Clean, Not Complicated ingredient list comes in. Our commitment to you is that we will use nothing unnecessary, harmful or synthetic—just what’s essential. And, we’ll help you understand why we choose the ingredients we do (you can start with our ingredient spotlights!). We use only ethically sourced, Fair + Direct Trade ingredients that are certified organic whenever possible. We believe these natural ingredients work better because they are better. Soothing botanical and fruit extracts: Botanical and fruit oils and extracts are powerhouses, packed with crucial vitamins, antioxidants and minerals that our skin and bodies need. Emollient nut and seed butters: Butters have a unique ability to hydrate and moisturize without a greasy feeling. Organic essential oils: Studies have shown essential oils to have mood-boosting properties, so they’re actually beneficial on their own, and not just thrown in to make things smell nice. Natural colorants: The colors you see in our body scrubs come only from natural sources. We use French green clay and red clay to give our products an appealing tint, but also because theses clays carry their own benefits. From links to health concerns and aggravating skin conditions to causing allergic reactions, these ingredients have a complicated history. But you don’t have to worry, because we won’t use them—ever. For more information about our Clean, Not Complicated list, read our full break down.